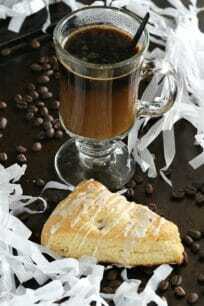 Freshly baked Vanilla Hazelnut Scones served with fresh coffee is all I need for a happy start of the day! These Vanilla Hazelnut Scones are perfect for a brunch party. In addition, I love making scones as they are super easy to make. 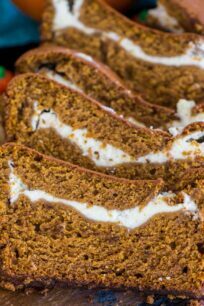 You will absolutely love these, because they are soft, flavorful and very delicious. 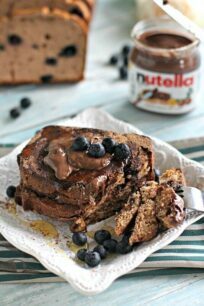 In addition, they are loaded with whole hazelnuts for a crunchy texture. They have a subtle vanilla flavor and the icing a nice caramel flavor. First of all they are flavorful and perfect dessert for hazelnuts lovers. Absolutely! First, cool the scones completely and fully wrap it in plastic wrap, tightly. After that wrap them in aluminum foil. Freeze for up to 2-3 months. Defrost before serving. In a large mixing bowl combine flour, sugar, baking powder and salt. Add butter and rub in with your fingertips until butter is reduced to the size of rice grains. In a medium mixing bowl using an electric mixer fitted with the wire attachment or a hand mixer, whisk together ¾ cups milk, egg yolk and vanilla. Add the mixture to the dry ingredients; mix until dough comes together in moist clumps. Mix in hazelnuts. If the dough is too sticky, add the remaining ⅓ cup of flour. Gather dough into a ball. Brush scones lightly with milk and bake until the scones become crusty and the top is golden; a tester inserted into center comes out clean, about 20 - 23 minutes. 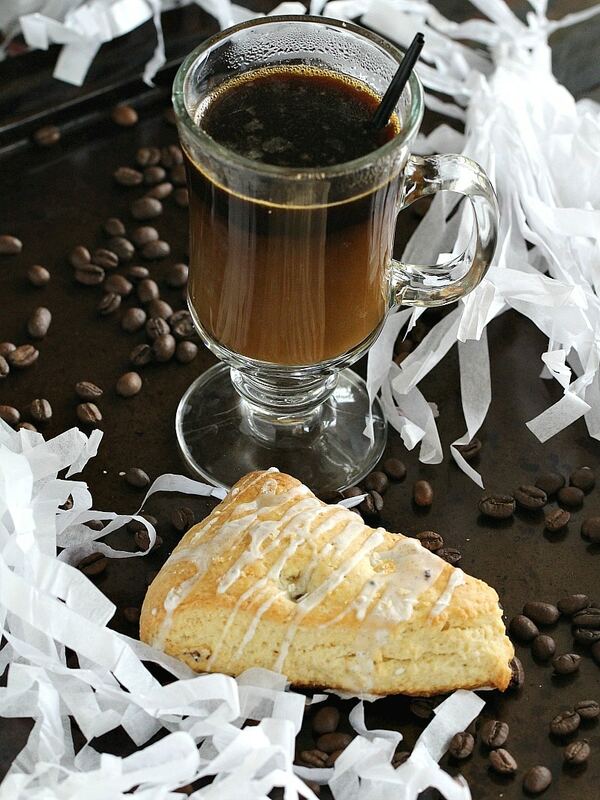 Mix creamer, vanilla bean seeds and sugar in a medium bowl until smooth, drizzle over the cooled scones. 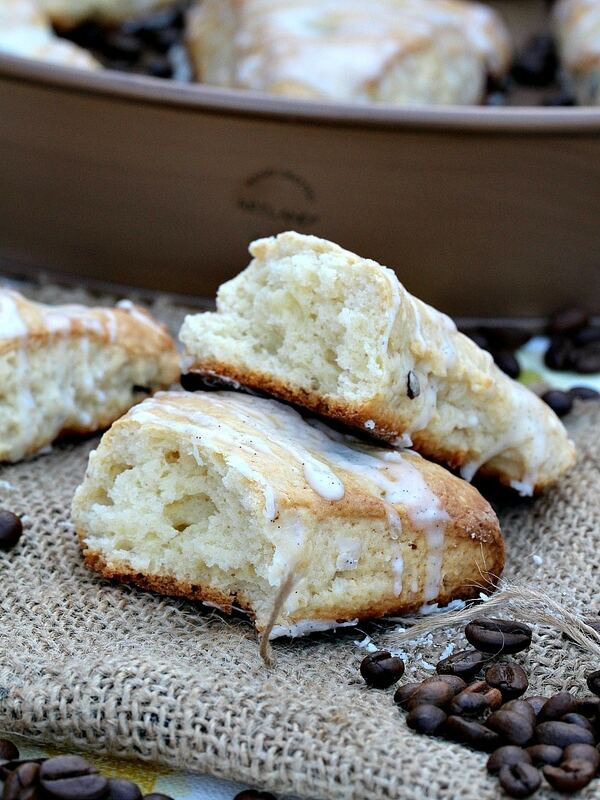 These scones look lovely, and what a creative way to use coffee creamer in the glaze! 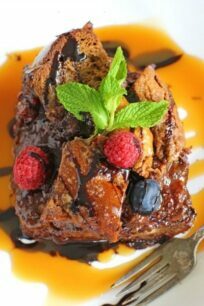 I’d love to serve these for Mother’s Day brunch.